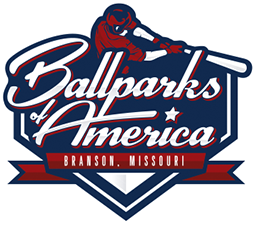 Babe Ruth League, Inc., the Branson Convention & Visitors Bureau, and Ballparks of America are teaming up to put together a big-league experience for the best 12-year-old baseball players in the world. The Cal Ripken Major70 World Series is a free event so come out and cheer for your favorite team! The 2018 Babe Ruth League tournament trail will test the mettle of every team in the Cal Ripken Major/70 division. Hundreds of young, talented baseball teams from around the world will start the 2018 season sharing one goal, but only a few of those teams will survive and advance to the Cal Ripken World Series. And while in Branson, those teams will face their biggest challenge – a tournament of champions that will narrow the field down to one to determine a World Champion.